R is a programming language which used for hadoop technologies like data analytics, statistical analysis and hadoop graph report presentation. R is the most popular language used by data scientist and data researchers. R comes from interpreter commands and also called interpreted language available for MAC and Windows. Why use R on Hadoop? R is a popular datascience programming tool used for data analytics. One main disadvantage of R is all data are stored in one main memory, when R programming integrated with hadoop is an best solution for this problem. Integrate R on Hadoop will provide highly scalable data which based on size of hadoop dataset. How to Integrate Hadoop on R? ravro – This package used to allow users for read and write avro files from hdfs. RHIPE – RHIPE means R and Hadoop Integrated Programming Environment. It allows runs MapReduce jobs within R. In this method programmers write R Maps and R Reduce functions only and RHIPE transfer data to Hadoop MapReduce tasks. RHIVE(Install R on Workstations and Connect to Data in Hadoop) – Rhive is a statistical libraries which available in R programming. It is used to extending the HiveQl and query language. ORCH (Oracle Connector for Hadoop) – It can be used to non-oracle hadoop clusters. Mappers and Reducer jobs written in R programming and MapReduce job executed from R. This connector also used to tests the MapReduce jobs. 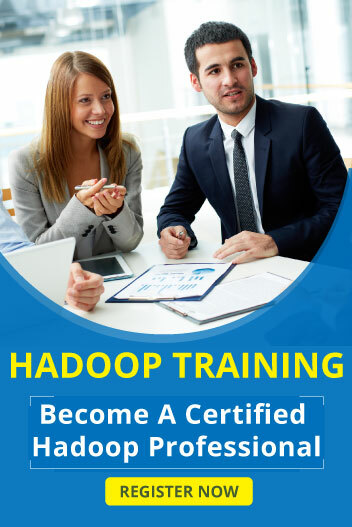 Hadoop and R working together is a best tool for big data professionals with high performance and scalability. Hadoop integration with R built for overcome limitations of R programming but if we just ignore it, then R and Hadoop together can make big data analytics an ecstasy!